Oct 15, 2018, 5:30 PM Peter Jacobus edited Fall Camping - Almost Here! 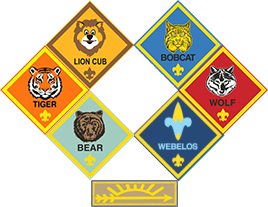 Oct 15, 2018, 5:28 PM Peter Jacobus attached Cub_Scout_Medical_680-001_AB.pdf to Fall Camping - Almost Here! Oct 14, 2018, 4:33 PM Peter Jacobus edited Fall Camping - Almost Here! Oct 14, 2018, 4:32 PM Peter Jacobus edited Fall Camping - Almost Here!